Known as much for his compelling conducting and performances as for his highly dynamic repertoire programming, Robert's concert performances include a huge range of full orchestra and vocal repertoire, regularly including performances with acclaimed national and international soloists (including the likes of pianists Tony Gould and Natasha Lin, MSO violinist Ji-Won Kim, international sopranos Shu-Cheen Yu and Maria-Cristina Keightley, percussionist Brent Miller, clarinetist Aaron Klein, tenor Nick Seidenman, baritone Oliver Mann and others). He is Chief Conductor of the Australasian Orchestra, the Melbourne Lawyers' Orchestra, the Monash Medical Orchestra, the Monash Chorale and since January 2017 has been the main conductor of the Preston Symphony Orchestra. 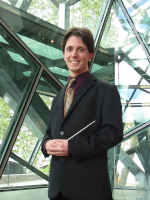 Having recently ended a four year conducting stint of the Monash University Choral Society (MonUCS) as their chief conductor, he also regularly guest conducts other orchestras throughout Victoria, including the semi-professional Nicholas Chamber orchestra (that he started conducting one concert a year with as of 2017). Groups for which he was previously Chief conductor of also include Savoy Opera Company and Dandenong Ranges Orchestra. Like his long time conducting mentor, the late Professor John Hopkins OBE AM, he is a powerful advocate for the performance of new and established Australian compositions and whenever possible, endeavors to include these in concerts he conducts. Robert's non-conducting work includes orchestral composing and conducting lecturing (having lectured in conducting at both Monash University and Melbourne University over four years). He is a commissioned composer, mostly of full orchestral works, notably including his very well received Symphony No. 1 ("Symphony to an ANZAC") and Lex Overture. Being a proponent of new Australian music he is committed to frequently performing works by other contemporary and Australian composers, in recent years giving premieres of around 20 orchestral works. Robert has a Master of Music degree from the University of Melbourne, specializing in orchestral conducting under the guidance of late Professor John Hopkins (OBE, OA). He has also received degrees from Monash University, doing a Bachelor of Performing Arts and a Bachelor of Music (which included Honours year in orchestral conducting following doing Classical voice for the other years of his Bachelor of Music Degree). Having performed as a violinist in various orchestras during his youth, he privately teaches voice, violin, conducting and music theory. Roger King studied Medicine at King's College Cambridge where he was Top Scholar in his final year. Whilst a young doctor he studied composition part-time at Hull University and then did a medical PhD at London University. He was in the Medical Faculty at Monash University for 25 years, teaching, researching and being a medical practitioner. He has published several hundred original research publications. He is now in full time medical practice. He plays piano, flute, piano accordion and guitar, sings, and has played and/or sung in bands, pop groups, folk groups, classical orchestras, choirs and other ensembles. Since 2000 he has accompanied and sung in over 700 concerts with the Monash Aires, a voluntary group that entertains in and around Melbourne, in hospitals, day care centres, hostels, nursing homes and senior citizens clubs. He was accompanist for the South Eastern Philharmonia Choir for a number of years, and now accompanies the Monash Chorale.